Berry Parlour is one of several cafes owned by the clothing and homewares company, Comme Ca. Don’t be put off by the fact that the cafes are run by a clothing company; their cakes and parfaits are real works of art. This is a big call, but I think the fruit parfaits and tarts at Cafe Comme Ca’s Berry Parlour may be some of the most beautiful that you will find. And they taste every bit as good as they look. Berry Parlour by Cafe Comme Ca is tucked away in a corner past some expensive looking fine bone china stores on one of the top floors of the Seibu shopping centre which can be accessed from Ikebukuro Station. The cafe itself tends to be full of older, rather posh looking people. Orchestral music plays in the background. We’d come for dessert after having just eaten lunch at the Characro Cafe, so going from a colourful anime themed restaurant to a quiet and conservative cafe was like switching universes. We hadn’t just come for any dessert; we had come to try the most beautiful looking parfaits we’d ever seen. 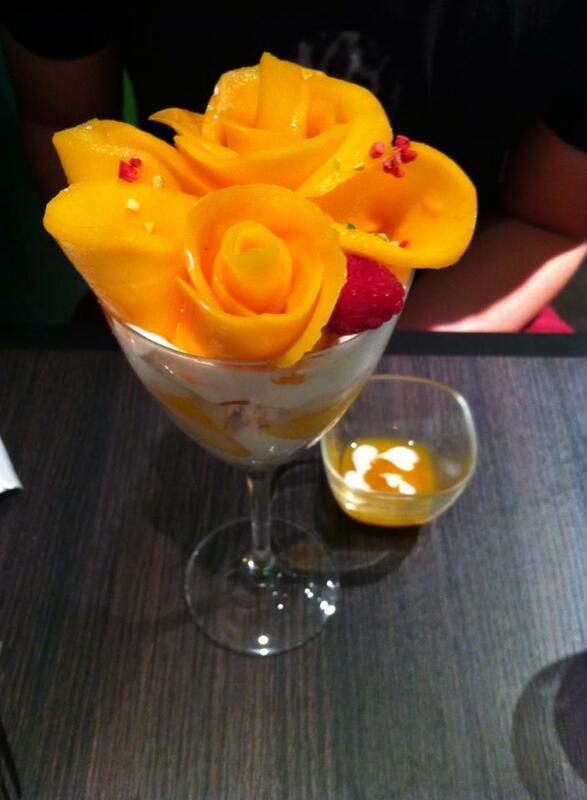 The Mango Rose Bouquet is probably Berry Parlour’s most famous parfait. 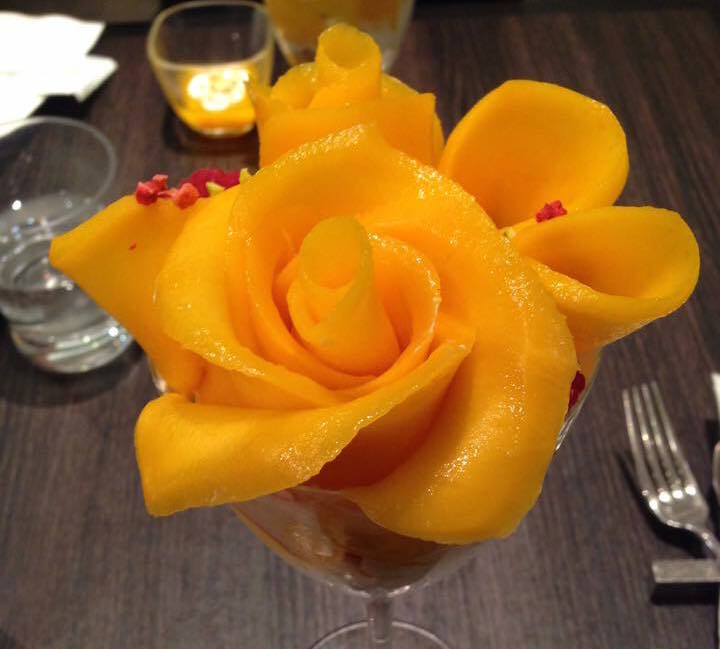 Roses made from slices of mango are presented on top of caramel ice-cream and whipped cream, along with a small pot of sauce to pour over it. At 1,800 Yen (almost AU $20 at the time of writing), this is a fairly pricy parfait, but we just had to try this as a once-off. Well, we said it would be a once-off, but there is a great chance that we’ll be back for another one later this year. 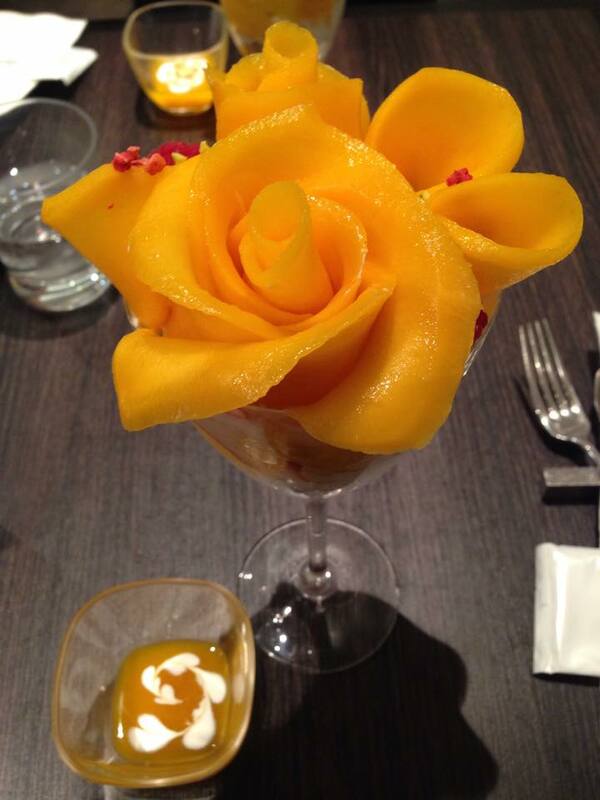 We also tried the Mango Mont Blanc parfait. That’s mango and berries on top of smooth, sweet, pureed chestnuts with whipped cream, and a small pot of passion fruit sauce. 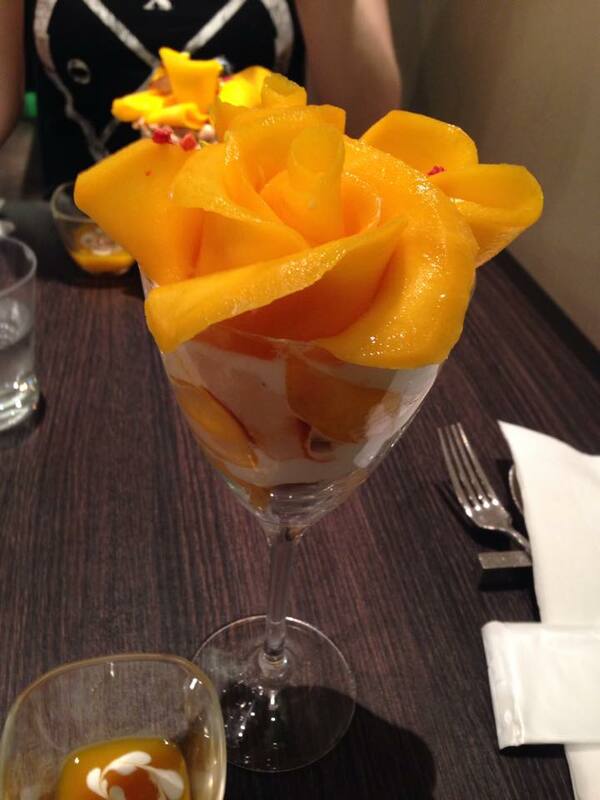 This one was just as delicious as the famous Mango Rose Bouquet, and cost 1,500 Yen (around AU $16.50 at the time of writing). I read somewhere that they don’t allow customers to take photos of the food, but there didn’t seem to be any problem with us photographing our parfaits. Photos of whole cakes and tarts are not allowed, so I didn’t attempt to get any photos of these. Above: a small birthday tart. Above: Mango rose tart with fromage blanc. Above: Strawberry and mango tart with custard cream. Prices can vary between stores, and tarts which can be ordered in different sizes (from small enough for two people to large enough for ten people) must be ordered a day in advance. Parfaits and tarts may also vary depending on which fruits are in season. 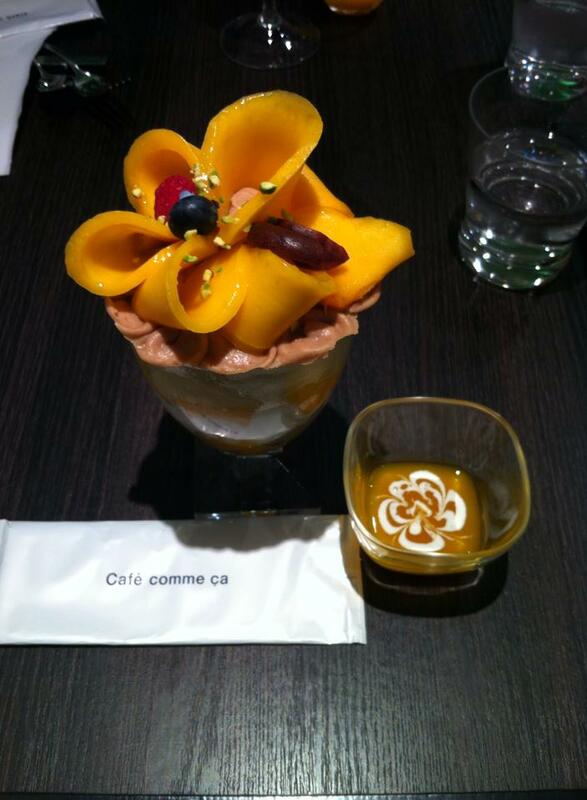 Cafe Comme Ca can be found in a range of locations around Japan. There are several categories, from Berry Cafe to Berry Parlour and plenty which are simply called Cafe Comme Ca. 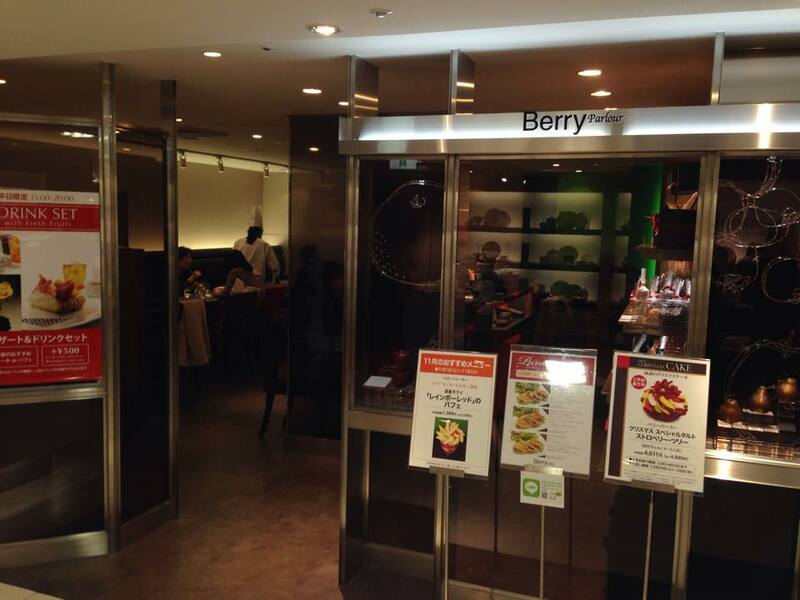 The Ikebukuro cafe that we visited is the only one known as Berry Parlour. Whilst you can get a slice of one of their beautiful tarts at any of the locations, not all of them have the full sized cakes or parfaits. We initially found the Shibuya Seibu store, but we didn’t eat there as we were specifically after the parfaits, whereas they sold other treats such as slices of tarts. It’s in Japanese, so if you can’t read it, just view it through Google Translate. Would I recommend Berry Parlour by Cafe Comme Ca? I think it goes without saying that I would recommend it. You won’t find the cheapest parfaits there, but you will probably find the most beautiful works of parfait art and gorgeously presented fruit tarts. That’s Level 7 of the Seibu shopping centre which can be accessed via Ikebukuro station. Just find the shopping centre (there are signs in English at the station), take the lifts (elevators, for my US readers) to Level 7 in North Zone A1, and walk pretty much straight ahead and you’ll find the cafe slightly to your left past the bone china homewares. 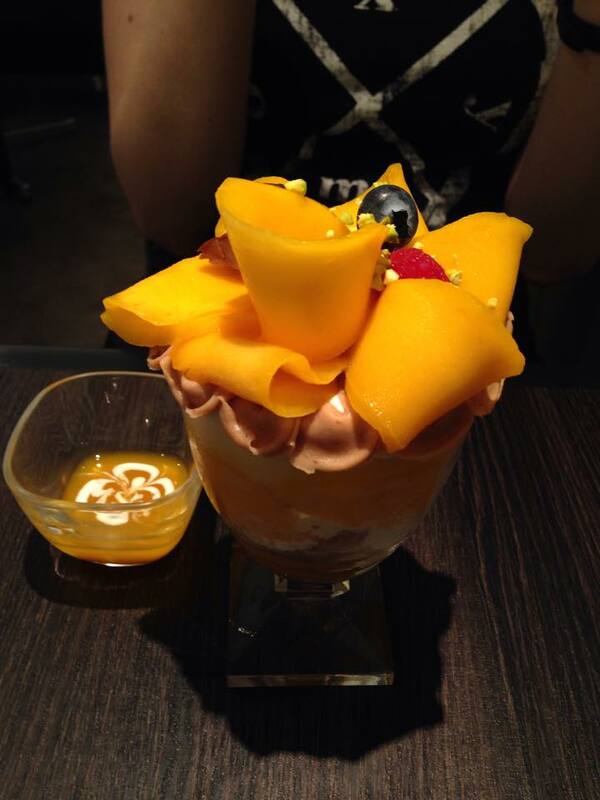 In my next post we’ll look at another of Tokyo’s most well known fruit parfait places, Takano Fruits.